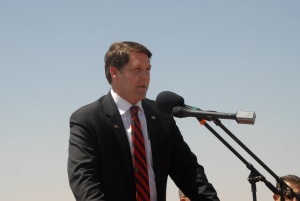 Michael Reeves announced in April that after serving as the president for the Ports-to-Plains Trade Corridor Coalition for fourteen years, he would be pursuing new opportunities. During his years of service to our organization, he developed important relationships with local, state and federal political leaders, transportation departments and grew the organization to include a nine-state, three-country unified effort to develop the corridor. Ports-to-Plains benefited from Michael’s leadership and initiatives, and he was instrumental in advocating and encouraging the upgrading and completion of over 46% of the corridor to be a far safer, four-lane, divided highway. We greatly appreciate his time and dedication to the organization and wish him only the best in his future endeavors. 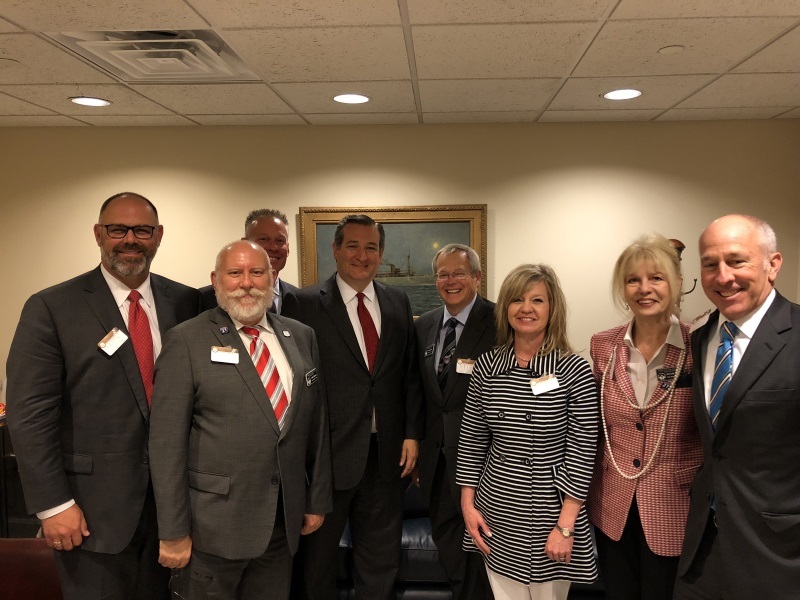 The Ports-to-Plains Alliance successfully completed its Annual Washington DC Fly-in on April 17-19, 2018. Participants included representatives from each of the High Priority Corridors on the National Highway System: Ports-to-Plains, Heartland Expressway and Theodore Roosevelt Expressway. Thank you to the participants: Christine Allen, Workforce Development & Foreign Trade Zone, Lubbock Economic Development Alliance, Lubbock, TX; John Bariou, Ports-to-Plains Alliance Advisory Board; City of San Angelo Development Corporation, San Angelo, TX; Brad Bekkadahl, Secretary, Ports-to-Plains Alliance; Williston, ND City Commissioner; North Dakota State Senator, Williston, ND; Brenda Gunter, Member of the Ports-to-Plains Alliance Board of Directors; Mayor, City of San Angelo, TX; Beverly Haggard, Member of the Ports-to-Plains Alliance Board of Directors; City Council, Lamar, CO Duffy Hinkle, Vice President of Membership and Marketing, Ports-to-Plains Alliance, Lubbock, TX; Nathan Johnson, Member of the Heartland Expressway Association Board of Directors; City Manager, Scottsbluff, NE; Jeff Kelley, Executive Director, Panhandle Area Development District, NE; Joe Kiely, Vice President of Operations, Ports-to-Plains Alliance, Limon, CO; Cal Klewin, Executive Director, Theodore Roosevelt Expressway, Bowman, ND; Steve Massengale, City Council, Lubbock, TX; John Osborne, Chairman, Ports-to-Plains Alliance; President/CEO, Lubbock Economic Development Alliance, Lubbock, TX; Dan Pope, Member of the Ports-to-Plains Alliance Board of Directors; Mayor, Lubbock, TX; Jack Schenendorf, Federal Consultant, Covington & Burling; and Steve Smith, Member of the Ports-to-Plains Alliance Board of Directors; County Judge, Sutton County, Sonora, TX. Over the three days, these fifteen (15) leaders visited with U.S.D.O.T, the Office of the Secretary; Chairman Bill Shuster, PA, House Committee on Transportation and Infrastructure; and Chairman Sam Graves, MO, Chairman of the House Subcommittee on Highways and Transit. Within the Alliance state meetings were held in twelve (12) Senate offices and eighteen (18) House Offices. Support the increased infrastructure funding ($20 billion total) included in the recent budget agreement for Fiscal Years 2018 and 2019. Urge Federal and state officials to prioritize multi-state rural highway corridors. Put the HTF on a sustainable basis by increasing revenues to meet the challenges of the 21st Century. Sustained investment from the HTF is the key to upgrading the NHS, especially multi-state rural highway corridors. Support the recommendations of the U.S. Chamber of Commerce and the National Surface Transportation Policy and Revenue Study Commission to raise motor fuel user fees by 25-cents per gallon over a five-year period. The Alliance will publicly thank, defend and support Members of Congress who make the tough vote to increase HTF user fees. The Administration’s proposal is based on public-private-partnerships (PPPs), which simply do not work on rural highways. As proposed, rural highways would receive very little, if any, of the $1.5 trillion investment. Modify the initiative to ensure a level playing field for rural highways, especially multi-state rural highway corridors on the NHS. Goal: reduce the time for approvals/permitting to 2 years. Consider separately from the rest of the Infrastructure Initiative, if necessary. IF Congress decides to direct some infrastructure investment to specific projects, ensure that the P-to-P Corridor is one of the projects designated. The Texas Freight Mobility Plan approved in November, 2017, identified the Ports-to-Plains Corridor / Extension of Interstate 27 from Lubbock to Laredo as a Strategic Freight Project and recommended a full feasibility study. 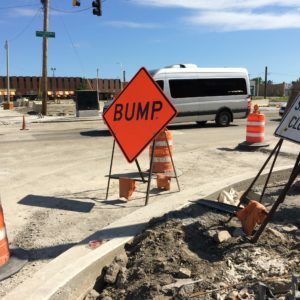 Lawmakers heard from industry groups during a hearing Wednesday to examine how small businesses view the infrastructure crisis. The House Small Business Committee held the hearing with lawmakers looking to address severe issues facing the national infrastructure system. The hearing explored the challenges that small businesses are facing as a result, and how they could be addressed, with a specific focus on surface transportation and access to broadband. There has been a growing concern over the crumbling roadways, bridge collapses, and failing pipes in our national infrastructure system. The problem impacts both families and businesses across the country, but there is hope with lawmakers looking to address it. Geldert-Murphey testified on behalf of the American Society of Civil Engineers. The hearing included speakers from several industry groups which represent small businesses in construction, engineering, and other sectors needed to improve infrastructure. Kevin Beyer spoke on behalf of The Rural Broadband Association. There is a lot of talk lately about increasing the amount of spending on the nation’s infrastructure, especially for roads and bridges. Report after report details why this needs to be done – because our roads and bridges are crumbling and too congested, and there is not enough money to pay for improvements. How to pay for it, however, is another question. Some in trucking, such as the American Trucking Associations, are calling for an increase in the fuel tax. Of course, there are opponents to this, even in trucking, an industry that relies on roads and bridges like no other. However, the simple fact is that trucking can’t afford not to pay fuel taxes for road projects. To begin with, a little background: More than $1.5 trillion in infrastructure funding has been called for by the Trump administration, while the American Society of Civil Engineers says $2 trillion is needed over the next 10 years just for roads – well short of current funding levels. Also, the way we pay for federally funded road and bridge projects hasn’t changed over the past 25 years. Yep, the nation’s gas tax is still 18.4 cents per gallon and diesel is at 24.4 cents per gallon. And like everything else in this world, from healthcare and groceries to new vehicles, (whether four wheels or 18), the cost of building and repairing roads and bridges isn’t as cheap as it was in 1993. 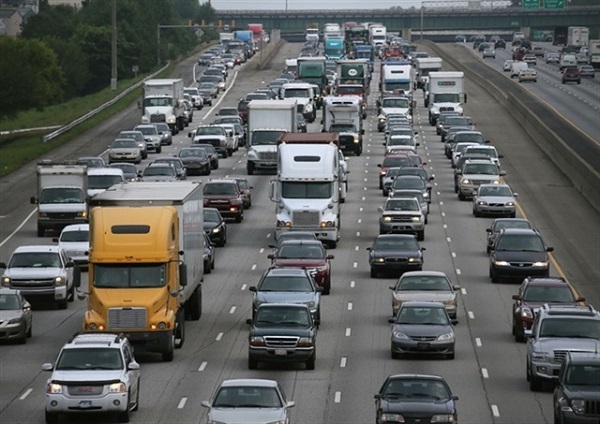 The state of the nation’s roads also is costing trucking a lot in terms of traffic congestion. An American Transportation Research Institute study found traffic congestion added up to an increase of more than $22,000 in operational costs for each truck that travels 100,000 miles annually. For the entire trucking industry, that’s $63.4 billion in additional operational costs. The Permian has been stealing headlines and analyst attention over the past year, and rightly so, as it’s the only U.S. shale play that continued to grow even when all others suffered during the downturn. But higher oil prices over the past few months have prompted drillers to grow production not only in the Permian, but also in the older and more developed plays such as the Bakken in North Dakota and Montana. The Bakken crude oil production has started to grow again and is expected to beat in the first half of 2018 its own production record of 1.23 million bpd from December 2014. The Bakken was one of the first U.S. shale basins in which drillers started to pump oil via fracking. Its advantage is that the geology is better known than that of the Permian. Its disadvantage, compared to the Permian, is that its sweetest spots may have already been pumped out. Another disadvantage is that the Bakken has higher breakevens than the top areas in the Permian, making its production more susceptible to oil price swings. The City of Plainview, Hale County and EDC will announce their first tenant for the new Business Park. 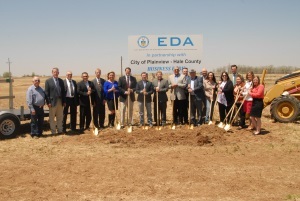 The Plainview - Hale County Business Park Groundbreaking Ceremony was held on Monday, April 23rd at 2:00 p.m. at the Business Park located on Interstate 27, north of Highway 194 (Dimmitt Highway). More than hundred people were on hand to hear remarks from Congressman Jodey Arrrington, U.S. Economic Development Association Representative Trisha Korbas, Mayor Wendell Dunlap, Hale County Judge Bill Coleman, Hale County Commissioners, Plainview City Council and the Plainview/Hale County Economic Development Corporation. After the closure of the Cargill beef packing plant in Plainview in February 2013, community leaders met to prioritize what steps would be necessary to recover from the loss of this major employer. The City, County and EDC began discussions to develop a community-owned business park in an effort to diversify the local and regional economy. From there, a joint board was appointed that provided direction and guidance on the layout, construction, and future needs of the Park. 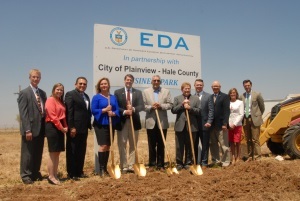 The Plainview - Hale County Business Park was propelled forward when the City and County jointly received a $1,000,000 grant from the Economic Development Administration (EDA) through the U.S. Department of Commerce to support the construction of a new Business Park. With the assistance of EDA, the City and County will be able to complete this project sooner than expected. The City and County will be 50/50 partners for the construction and on-going maintenance expenses for the Park. The Business Park area is zoned for commercial and industrial use and approximately half of the 140-acre industrial park will be sub-divided into five and ten acre tracts; the remaining acreage will not be sub-divided under the current phase and will be reserved for future tenant needs. Located on the Ports-To-Plains Interstate 27 Trade Corridor which links to Interstate 40, the Business Park location is easily accessible to the East and West Coasts. Located 580 miles from the Port of Houston and 550 miles from the World Trade Port of Entry in Laredo, Texas, the Park is also situated on the BNSF Rail Line which runs adjacent to the southern boundary of the Park and is five miles from the regional airport and 45 miles from Preston Smith International Airport. On March 1st, bids were opened for construction on the Business Park and early in April, the City Council and Hale County Commissioner’s awarded the construction bid of $3.9 million to LoneStar Dirt & Paving. Construction for the Business Park includes sewer lines, water lines, NTS lines, electrical lines, gas lines, drainage easement and paved roads. Construction timetable for the Park is nine months. The Plainview/Hale County Economic Development Corporation will be the lead agency for interested Business Park tenants. “The ground breaking of this business park begins an exciting new chapter in the economic development and growth of our community,” says Mike Fox, EDC Executive Director. This message could be from any Commissioner of Agriculture across the Ports-to-Plains Alliance Region. Trade agreement and exports are critical to agriculture and many other economic sectors. We cannot eat all the food we produce and cannot use all the technology we produce. Exporting is critical to our economy.